Arena Sport (Cro). Arena Sport (Ser). bet365. bet365.it. Chance. Fortuna. Fortuna SK. Sportingbet. Tipsport. Tipsport SK. Unibet. Unibet FR. ViaPlay (Den). ViaPlay (Fin). ViaPlay (Nor). ViaPlay (Swe). Viasat Jalkapallo. 12- Mickel Miller - Hamilton Academical - receive yellow card for a foul. 18- Scott Martin - Hamilton Academical - receive yellow card for a foul. 43- Daniel Candeias - Rangers - receive yellow card for a foul. 41- Ryan Kent - Rangers - receive yellow card for excessive celebration. 63- Substitution - Hamilton Academical. Rakish Bingham for Fredrik Brustad. 69- Substitution - Hamilton Academical. James Keatings for Mickel Miller - injury. 72- Jordan Rossiter - Rangers - receive yellow card for a foul. 75- Alfredo Morelos - Rangers - receive yellow card for a foul. 76- Substitution - Hamilton Academical. Steven Boyd for Ziggy Gordon. 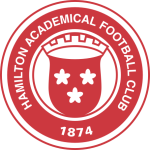 75- Darian MacKinnon - Hamilton Academical - receive yellow card. 79- Substitution - Rangers. Joe Worrall for Nikola Katic. 80- Goal! Hamilton Academical 1, Rangers 1. Steven Boyd - Hamilton Academical - shot with left foot from outside the box to the top left corner. 82- Substitution - Rangers. Eros Grezda for Jordan Rossiter. 84- Goal! Hamilton Academical 1, Rangers 2. James Tavernier - Rangers - converts the penalty with a shot with right foot to the top left corner. 87- Goal! Hamilton Academical 1, Rangers 3. James Tavernier - Rangers - converts the penalty with a shot with right foot to the centre of the goal. 89- Steven Boyd - Hamilton Academical - receive yellow card. 87- Substitution - Rangers. Ross McCrorie for Ryan Kent. 90- Andy Halliday - Rangers - receive yellow card for a foul. 90- Goal! 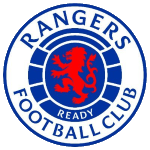 Hamilton Academical 1, Rangers 4. Alfredo Morelos - Rangers - shot with left foot from the centre of the box to the top right corner.